As for which species to select, studies have shown that different chemical components are more concentrated in the different species, but no species is clearly superior. For instance, E. angustifolia and E. purpurea both contain higher concentrations of alkylamides than the pallida species. Some studies show E. angustifolia produces the most immune-boosting activity, while others have demonstrated E. purpurea enhances phagocytosis more. According to Rudy Bauer, all three types can be effective at fighting colds and flus. To cover your bases, you may want to buy a brand-that combines the different varieties. There is no consensus on which preparation is the best, but some experts consider the fresh-pressed juice the most effective because of its range of active compounds. However, fresh-pressed juice has virtually no shelf life and so most manufacturers don’t produce it. If you’re really industrious, and have access to fresh echinacea, you can make your own. if not, alcohol-based liquid extracts are your best choice. “The alcohol in the mixture renders the medicinal components highly soluble,” says Debra Reuben, chemical herbalist and owner of Dancing Willow Herbs, a manufacturer in Durango, Colorado. 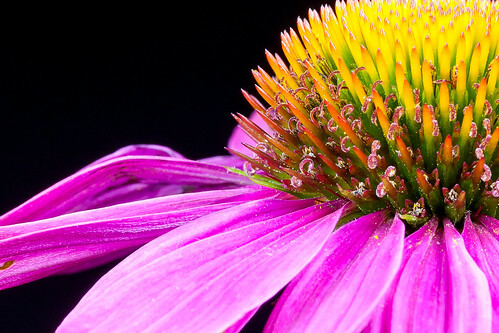 4 Clinical Studies with Echinacea • According to Bascom (2002), there have been more than 350 studies related to the efficacy and safety of different species of Echinacea.